Adventures in a Crafting Life: Black and White Cushions Finished! This is a very quick post today as pre-Christmas craziness is reaching new heights, just to say that my black and white charm square cushions are finished! I'm so pleased with them, and they made their way to their new owner this week who is equally happy! I finished the backs with zips, as described in this tutorial. 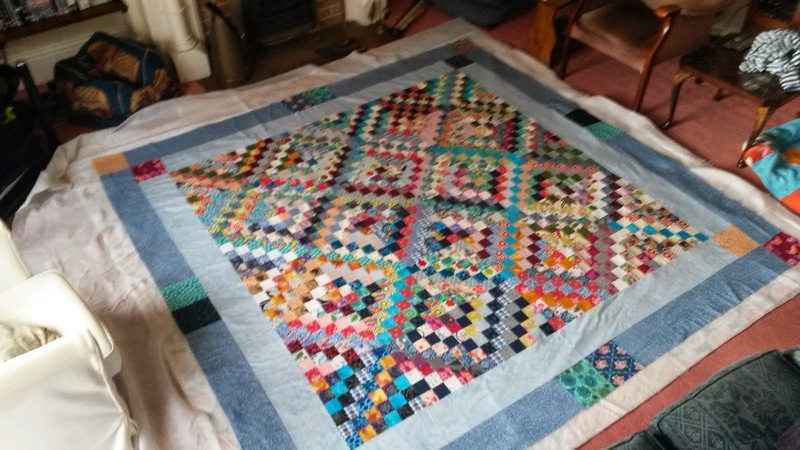 Linking up to crazymomquilts, Confessions of a Fabric Addict and Modern Traditional Quilts. I am also incredibly excited to say that my finish from last week, Emily's Quilt, is featured on Modern Traditional Quilts this week! Very nice indeed, they look super smart and contemporary.